Starting a business online is a fad among business owners today and to present a site such that it leaves a mark on a customer, these companies and retailers look for tech-oriented solution provider companies that can offer cost-effective services. Although the space is immensely crowded today, what separates the men from the boys are factors such as great knowledge, a fervent team and support service. 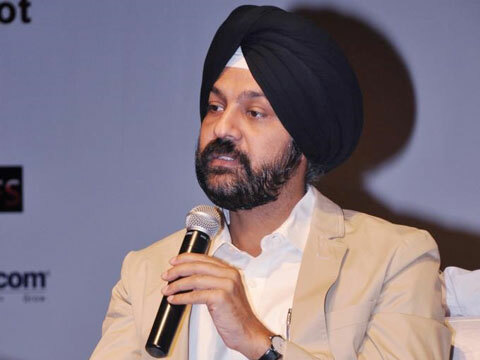 Samarjeet Singh, Co-founder and President at Iksula (an eCommerce services company) is trying to address two business lines, ‘Services’ and ‘Managed Services’. Within services, as Retailer gathered from a brief chat with Singh, the company caters to the retailer and eRetailer providing them solutions that are not core to their existence and help them lower their running costs. And with managed services business or INCOM Enterprise division, 700-member strong service provider takes care of entire end-to-end eCommerce operations of brands in India and hand-holds them through the uncharted waters of the digital commerce world. Was entrepreneurship something you have always wanted to do? Why? I started my professional life in 1997-98 by getting involved in a start-up with a few friends as co-founders. Although the business tanked heavily, there was massive learning for me. From there on, I joined Tajonline which we later sold to eVenture – a Star TV backed investment fund. Tajonline went on to become one of the largest NRI gifting websites. And as Bazee was being set up, I made a switch. Few years later, we sold Bazee to eBay and, in 2004, I became a part of eBay India and lead their category and seller marketing business. In 2007, I left eBay to start my venture Iksula to cater to the eCommerce industry’s growing needs. As far as my education goes, I completed my B.Tech in Electronics and Instrumentation and an MBA in Marketing and Finance from Goa Institute of Management. Entrepreneurship was something that I inherently did in almost all my professional life. Except for my stint in eBay India, all my roles were as founders or directors of the companies I worked with. And, the best part, I’ve enjoyed every bit and learnt a lot. How was the idea of Iksula conceptualised? According to a recent report I read, the Indian eCommerce market itself is expected to touch $100 billion by 2020. So, there is tremendous potential in the eRetail industry – not just in India, but right across the world. Plus, having worked with Tajonline, Bazee and eBay, I and my co-founders have good industry knowledge. Your target consumer would be different for both the businesses then? Yes, that’s correct! For the Services business line, our typical consumer is an eRetailing company based in India or the US looking to hire an eCommerce partner. And, for the Managed Services business line, our typical consumer is an Indian brand looking to expand its online sales. Is there a gap in the integrated eCommerce services side you are trying to fulfil? Right from building the technology platform to warehousing, logistics and fulfillment, from content and photography services to online marketing solutions and customer support and call center solutions - we manage the entire bouquet of end-to-end eRetailing solutions for brands looking to sell on all online channels within India. We are two co-founders – myself and DJ Basumatari, who worked with me in Bazee. Currently, our business size is INR 50 crores. Iksula is a strange name, is there a story behind choosing such a name? Iksula derives its name from an ancient river in India. It was apt because like a river, Iksula flows and adapts course to serve the needs of the eCommerce industry. Being in the internet/tech business, we simply cannot afford to remain stagnant; another unique characteristic of a river. Have you raised any funding so far? None. Having said so, we are open to investments and establishing synergistic partnerships in our INCOM Enterprise business line. One of the most important things that investors look for in a business is stability. Over the last few years, Iksula has grown 100% YoY organically. And, the fact that we’ve not had to pivot our business, reflects our clear focus and commitment. Currently, Iksula has more than 700 employees across its Mumbai and the newly-opened Indore delivery centre. Over the years that we’ve grown, one thing that we’ve emphasised on is setting the right culture to attract great talent. The average age in Iksula is around 25, meaning that we are a bunch of young, dynamic and enthusiastic professionals. We’re passionate about eCommerce and delivering the best solutions for our clients. We also have a gamut of fun activities that makes Iksula a great place to work like the Family Challenge Cup (annual badminton championship with family members), Gabbar Cup (annual football tournament), Iksula Premier League (annual cricket tournament), as well as iTalk and Kit-Kat sessions (chat and Q&A sessions with senior management). How are you addressing the challenges of scaling up? Talent and capital remain the biggest challenges while scaling-up. While capital is needed to expand the INCOM Enterprise business line, there’s a need for managing cash flow better in the Services business. To attract great talent, we’re working towards building strong brand equity and driving across the vision of the company through content marketing. With current revenues of INR 50 crores, we look forward to carrying on our market leadership and grow 5x by 2020 in the services business and 20x in the integrated commerce business.